Pioneer Electronics (USA) Inc.’s Professional Sound and Visual Division today introduced the HDJ-500T-K (MSRP: $145.00) multi-functional entry level DJ headphones that can be used for DJing, leisure music listening and now hands-free calling. The new HDJ-500T-K includes two interchangeable cords: a coiled cord for DJ purposes and a straight cord with an integrated microphone that enables users to answer incoming calls when connected to a smartphone. “Consumers are always looking for accessories that can do more than just one thing. With the new HDJ-500T-K you can go from using it at a gig, to enjoying music from a smartphone, to taking a call, all with the same device. A quick push of the answer button on the straight cord enables a phone conversation, and as soon as that ends you’re back to listening to music, all with high quality sound,” said David Arevalo, senior marketing manager, Professional Sound and Visual Division for Pioneer Electronics (USA) Inc. The HDJ-500T-K DJ headphones include two interchangeable cords: a coiled cord and a 1.2 meter straight cord with a microphone and phone answer button. The traditional 1.2 meter coiled cord (extends to 3m) is ideal for regular DJ performances, while the 1 meter straight cord is perfect for leisure listening when connected to a smartphone music device, and can also answer incoming calls with a simple touch of a button. For maximum flexibility during performances, the HDJ-500T-K features a rotating arm structure that allows the user to rotate the right earpiece forward and back by as much as 60 degrees. At that position, the flexible headband maintains enough side pressure to allow the DJ to listen to audio on just one side of the headphones. The HDJ-500T-K adapts the same great sound quality found in Pioneer’s current HDJ-500 line of headphones. It provides clear audio reproduction, enhancing the critical low and mid frequency ranges that are essential for remixing. With a 40 mm diameter driver, thick 19 mm (micrometers) diaphragm and a copper clad aluminum wire (CCAW) voice coil, the headphone can efficiently reproduce the lower frequency audio range such as snare and kick drum sounds, which can be easily distinguished to make matching the tempo of tracks easier, even for novice DJs. The HDJ-500T-K DJ headphones offer similar styling and performance design cues as Pioneer’s top-of-the-line HDJ-2000 headphones. Designed with maximum comfort and reliability in mind, the HDJ-500T-K uses comfortable urethane pads for the ears that allow the headphones to mold around the user’s head and ears for a snug and slip-resistant fit. Furthermore, the urethane pads are wrapped in high quality leather, providing greater comfort and extended wear. The main structure of the headphones is crafted with magnesium alloy for light weight and durability, making them ideal for travel and long periods of use. 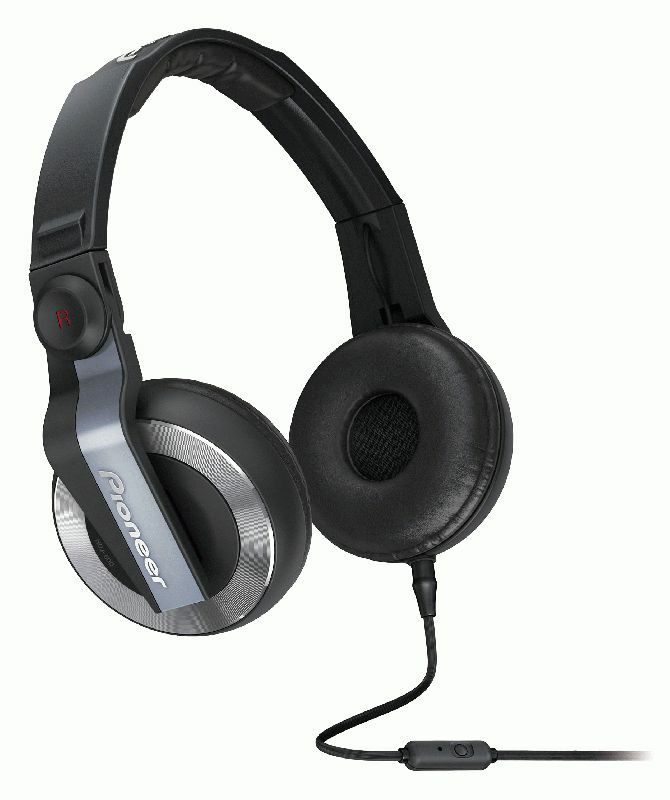 The black HDJ-500T-K DJ headphones are available in May at a manufacturer suggested retail price of $145.00.